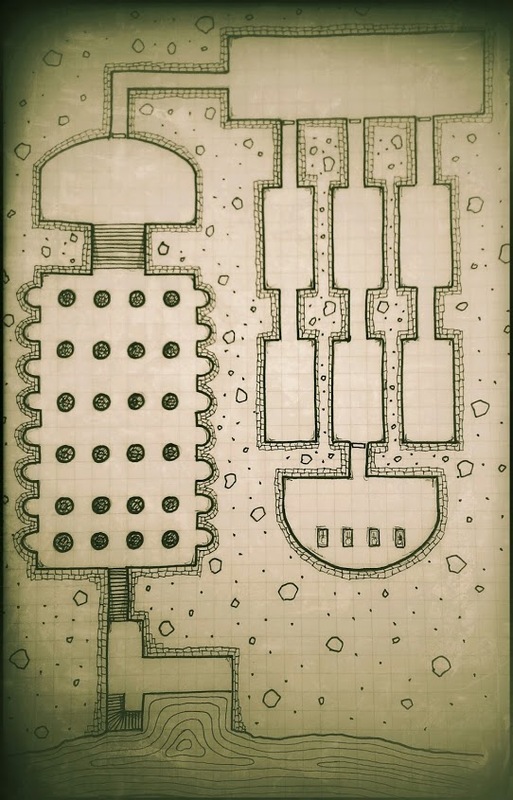 Lately I’ve started to make old school maps while not being around a computer. Most of the commissions I make I draw in Photoshop or CC3 from Profantasy, you can actually say that my computer is my main tool while making maps. But before computers you had to do all your maps on paper, that’s how I started out. On Google+ I follow a lot of mappers like Matt Jackson, Simon Forest or Monkeyblood design that makes those lovely handmade old school maps. Inspired by those maps I decided that I had to give it a try myself. So I acquired a good moleskin notebook, some pens in different sizes and started out. In the beginning it felt quite awkward not being able to hit ctrl+Z as soon as something went wrong, which I did in my mind all the time, but after a while I got used to cover up mistakes so that they looked intentional. 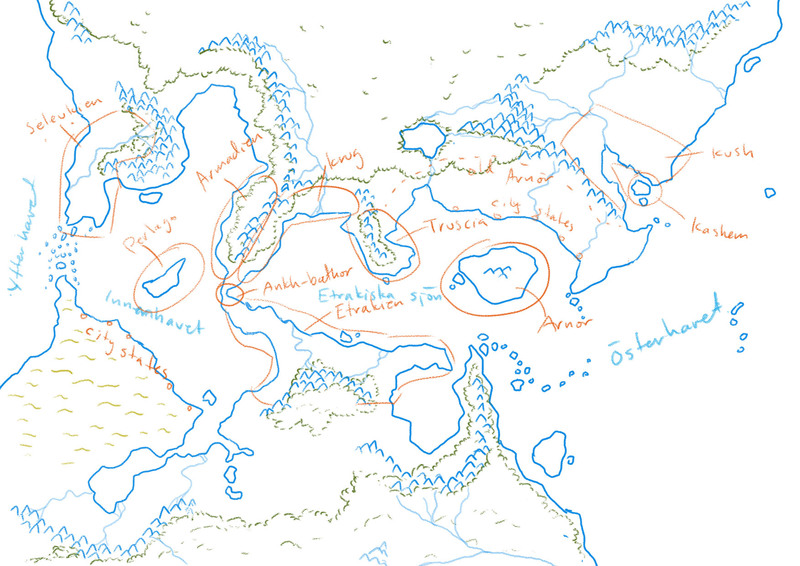 And I must say that I really enjoy making those maps. Nowadays I bring my notebook wherever I go, because you never know when you will have some spare time when you can draw some maps instead of constantly checking Facebook on your mobile.